Wanda Durrett Bigham, Stevens Strategy Senior Consultant, is a seasoned higher education administrator and leader. 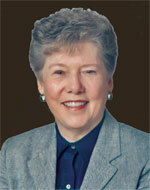 She served for ten years as President of Huntingdon College and six years as President at Marycrest College. Prior to those appointments, she was Vice President for Development at Emerson College and Associate Dean for Academic Affairs and Acting Graduate Dean at Morehead State University. More recently, she has served for seven years as the Associate General Secretary (Interim) for the General Board of Higher Education, responsible for the Division of Higher Education, and as Assistant General Secretary of the Office of Schools, Colleges, and Universities for the General Board of Higher Education and Ministry of the United Methodist Church. In those roles, she provided educational services, including evaluation of performance and professional development, for Methodist institutions in the United States and around the world. Dr. Bigham has been a consultant to higher education in the areas of leadership, strategic planning, governance, team building, and executive searches. She has been an ACE Fellow and holds a certificate from the Institute for Educational Management at Harvard University. She earned her Ed.D. at the University of Kentucky, her M.H.E. and M.M. at Morehead State University, and her B.M.E. at Murray State University.